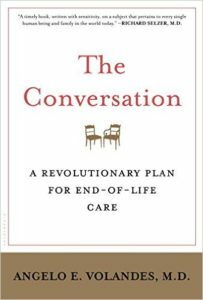 Angelo Volandes, a physician and noted expert on Advance Care Planning, discusses his book, “The Conversation: A Revolutionary Plan for End-of Life Care,” on Tuesday, Oct. 4, from 6:30-7:30 p.m. at the Coralville Center for the Performing Arts. We here at the Examined Life Conference wanted to let you know about an added bonus that comes with this year’s conference. In addition to all the content we provide, this year’s conference also coincides with the Iowa City Book Festival presented by Iowa City UNESCO City of Literature. We’ve partnered with the UNESCO folks to bring you Leslie Jamison as our featured presenter and the book festival has a slate of events and features to keep you busy even when the ELC is taking a breather. The Iowa City Book Festival runs from October 4-9, so if you have the time you can plan to come a little earlier and/or stay an extra day to take it in. 10/04/16–THE CONVERSATION: A REVOLUTIONARY PLAN FOR END-OF LIFE CARE: Angelo Volandes, a physician and noted expert on Advance Care Planning, discusses his book, “The Conversation: A Revolutionary Plan for End-of Life Care,” on Tuesday, Oct. 4, from 6:30-7:30 p.m. at the Coralville Center for the Performing Arts. 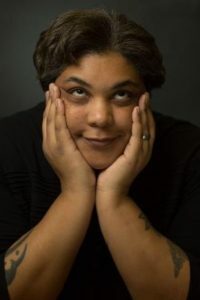 Roxane Gay has been named the fifth recipient of the Paul Engle Prize, presented by the Iowa City UNESCO City of Literature. Iowa City is one of just 11 Cities of Literature in the world, and the Iowa City Book Festival celebrates books and writing by leveraging the unique mix of local resources that helped to earn that designation. Iowa City is a City of Literature for many reasons: The wonderful writing programs at the University of Iowa, including the Writers’ Workshop and International Writing Program, our small presses and magazines, our wonderful libraries, our bookstores, and amenities like the Iowa Avenue Literary Walk. While you are here, we encourage you to explore all of this and more, to fully immerse yourself in our rich literary culture.